Finding something to do without spending money is always a plus. For us geocaching has always been something we can do without spending a lot of money. No matter where we go we can just our phones to help us geocache along the way or you can invest in some handheld GPS to help you find the hidden treasures along the way. First thing you should do before you start your geocaching adventure is sign up at www.geocaching.com to find out the caches in your area. This website will let you know how many caches are in your area that you can go and find. You can also find the answers to some of your burning questions. 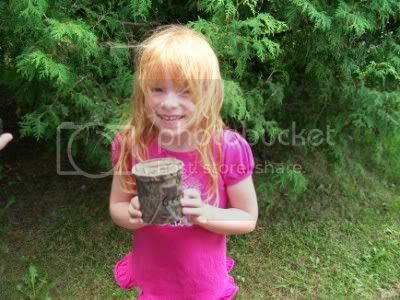 Shaylin was the one who found our first geocache of the day. I swear she has a radar for them because more times than not we are there a few minutes and she comes up with the cache. 2. Charge up your devices. 3. Bring a pen and trinkets. 4. Caches come in all size from nano to large be sure to know what size you are looking for. Alyssa is hunting for a cache under a tank locally. We didn't find it. I am not sure if it was moved or taken but one day we will head back to see if we can find it. I have to say wearing comfortable footwear is my best tip because you will be walking and hiking through some different terrains. My best advice is to have fun and enjoy your time geocaching with your family and the new experiences and things you find along the way.